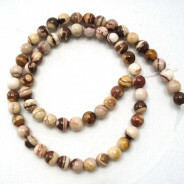 Picture Jasper stone Round 6mm (~66pce Strand) - 40cm /16'" Strand. 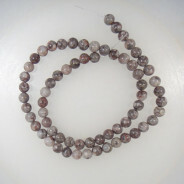 Picture Jasper stone Round 6mm (66pce Strand) - 40cm /16'" Strand. 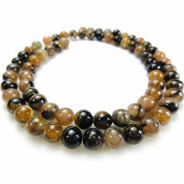 This semiprecious gemstone is actually petrified mud. 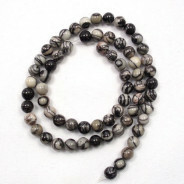 The mud was rich in quartz that oozed and dripped into pockets of gas formed by molten lava. Heat from the exposure turned the mud solid almost instantly. Said to be the Earth Mother containing a message from the past within its pictures for those who can read it. 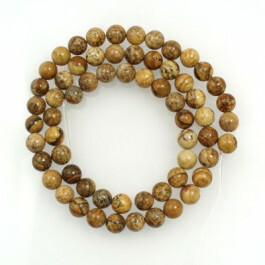 Thought to be connected to the earth bringing stability and balance, instilling a sense of proportion and harmony.